For eCommerce sites, one of the most difficult tasks has always been in identifying the reason behind their abandoned shopping carts. While reasons could be many, there are some definitive solutions for each case. 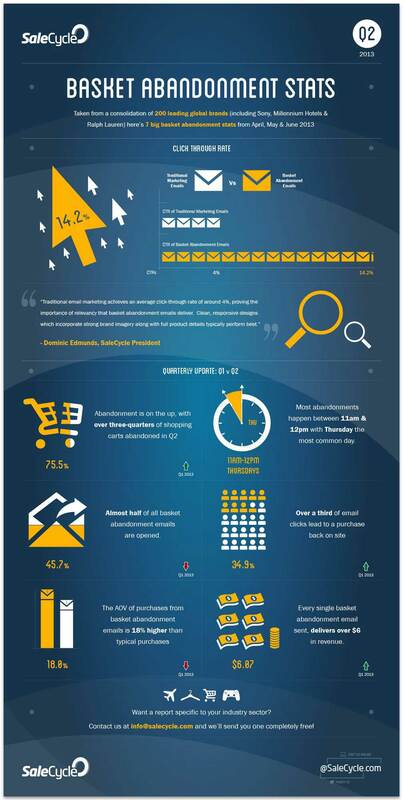 By 2016, eCommerce businesses are predicted to experience $31 billion loss due to cart abandonment. As the holiday season is fast approaching, here’s your chance to make maximum sales. Ensure you don’t miss a chance to help your customers complete their purchases successfully. Follow these effective steps to reduce your shopping cart abandonment rates and reap the benefits of the season! Ever since online shopping came onto the scene, shopping cart abandonment has been an issue. It is easy for customers to fill their virtual carts, only to end up leaving them to languish if they decide that they don’t want to complete the purchases. In fact, according to Baymar.com, already this year the average abandonment rate for online shopping carts is a shocking 68.63%. As this statistic shows, deciding not to purchase items is no passing trend. However, with the growing popularity and complexity of online shopping, the question is how do you reduce shopping cart abandonment? Although this trend is the bane of online retailers, it has been shown that with some savvy tricks and a little creativity, 63% of abandoned shopping cart merchandise loss can be recovered. In a new report from Business Insider Intelligence, the causes of shopping cart abandonment were investigated to see just which factors led to customers leaving their items in their baskets lonely and unpurchased. Many people attribute these uncompleted sales to unexpected shipping costs or outrageously long delivery periods. However, that wouldn’t make sense for industries where shipping and delivery do not play a role in a purchase. You can see this clearly with travel, which, although it sells services and not goods, has one of the highest rates of shopping cart abandonment rates of all industries. It’s not surprising then that the travel industry also has one of the lowest industry send rates (the percent of consumers who are contacted when they leave their cart before checking out), which brings us to the first simple solution to lowering your shopping cart abandonment rates. Everyone likes to receive cute little notes, so send your customers a quick reminder that they’ve left their goodies behind, and your customers are likely to respond. Research has proven this multiple times. Shopping cart abandonment e-mails typically generate a click-through rate of 14.2%, whereas “Traditional email marketing achieves an average click-through rate of around 4%, proving the importance of relevancy that basket abandonment e-mails deliver. Clean, responsive designs which incorporate strong brand imagery along with full product details typically perform best,” stated Dominic Edmunds, SaleCycle President. Such a high click-through rate means that many, many of these reminder e-mails are being opened; 45.7%, to be exact. This is, in fact, 18% higher than the open rate for regular marketing emails coming from businesses. Do these statistics mean anything? Absolutely! These high rates of engagement with shopping cart abandonment e-mails have led approximately one-third of previously abandoned shopping carts to be recovered. Broken down, this means that, per e-mail, you are generating over $6 in revenue. Speaking of engagement, how do you engage your customer base on a deeper level than just superficial consuming? It is proven that engaging your customers in a conversation is beneficial not only for your brand’s persona but also for your sales figures. Blogs and in-depth content give your brand a personality by humanizing it, and, by giving yourself character, you give your brand a competitive edge. This competitive edge translates, unsurprisingly, into a lower shopping cart abandonment rate. In another study, a marketing team put this theory to the test. They began by developing an online blog with articles geared to align with their target audience’s interests and expectations. Once they had gained a substantial readership, they then began to ease off the quantity of articles in favor of more subject-specific quality articles. Making this change not only served to increase the depth of engagement with their customers, but it also made their site stickier, which, in turn, attracted even more customers. According to this study, it turns out that having a blog that caters to your target demographic will not only convert customers into loyal clients, but can also help drive a 15% decrease in shopping cart abandonment. Once again, it shows that by engaging directly with your clientele and showing them that you are interested in them, you can make significant strides in reducing your shopping cart abandonment. Why is it that there is nothing difficult about walking your purchases up to a cash register in a brick and mortar store and paying for them? Because of visibility. Cash registers in a store are always within eyesight from anywhere in a store, making it impossible for a customer to not check out because they claim it was “too difficult.” Channel this same ease of purchasing in your online store. Think about it. If you have to continually navigate back and forth between pages on a site to see what you already have in your cart, and then continue shopping, it can be frustrating. Therefore, eliminate these tricky gymnastics and have your shopping cart visible to your customers at all times. Although these ideas sound nice in theory, you may be wondering how you can get all these tricks and tips implemented on your website. Well, use a professional service that can help you skillfully integrate both big and small changes into your website. After all, you want to do all you can to retain your loyal customer base, since it is easier to keep a loyal customer than to make a good new customer. Plus, the former is certainly less costly. 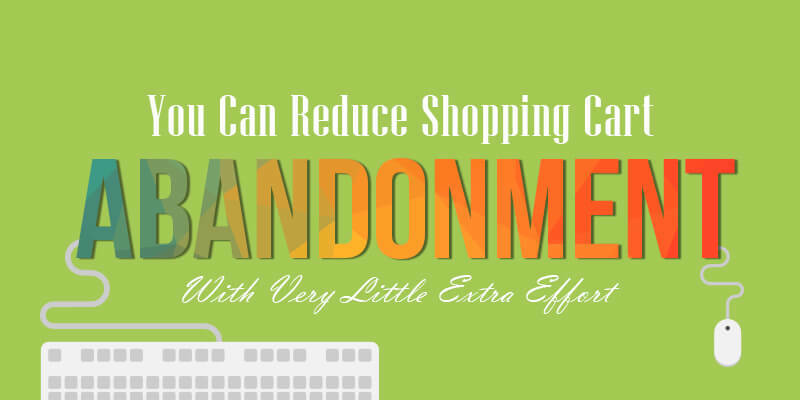 Therefore, fight the shopping cart abandonment epidemic head on and turn shoppers into buyers. Don’t let your merchandise become abandoned. Implement proven tricks and tips into your eCommerce site to salvage your sales, or better yet, improve them. That way, next time you go shopping, you’ll have more money in your pocket.